12:20pm parking area at Vincent gap temp 30 F. Mostly cloudy with light snow. 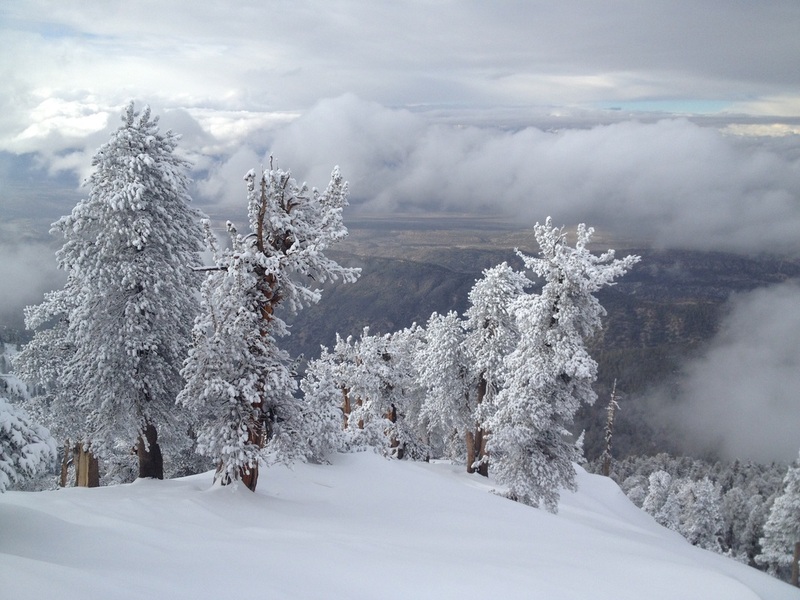 7,300' variable snow depth 5" - 15" with rain crust in upper snowpack from prestorm rain. Overcast and grauple at this time. 7,600' new snow 5" - 15" no crust and consolidated snowpack on N NE aspect. Overcast with light snowfall at this time. 8,000' no precip at this time homogenous snowpack no crusts 6" - 15" mostly recent snow from last two storms. 8,300' discovered older snow at base from before last two storms. Solid melt freeze layer to ground from extended warm period prior to the 2-22 storm. Base frozen 3" - 4" with 6" - 15" new snow on top. 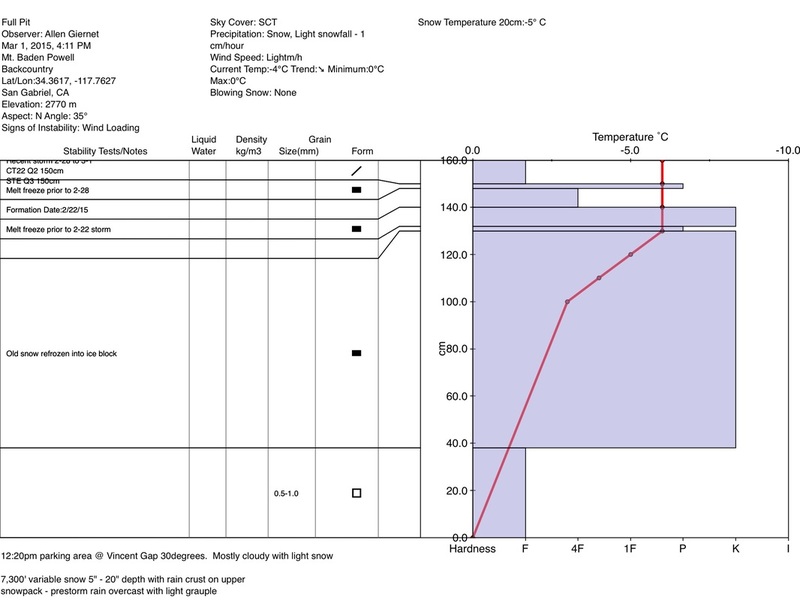 See pit profile for upper elevation. Here we found a solid thick ice layer on top of large facets. The ice layer was a very large melt freeze layer from the extended warm period prior to the recent storms. We did have some reaction on a melt freeze crust just below the 2-22 snow but nothing alarming. And the snow on top was loose new snow.